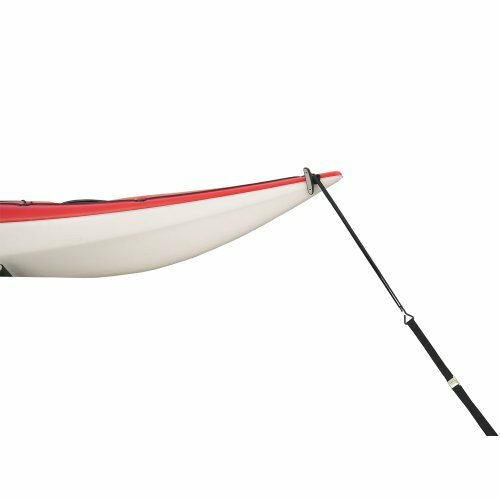 The Stoneman Sport VR-881 Sparehand Quick Draw Bow and Stern Tie-Down is a convenient way to tie-down kayaks, canoes, paddle boards and other water crafts. The Stoneman Sports VR-881 is fast and easy to use and made of sturdy commercial grade nylon. You can rely on these straps for a variety of fastenings applications such as strapping down cargo on roof racks. The Stoneman Sports VR-881 Sparehand Quick Draw Bow and Stern Tie-Down comes with a 1-year limited manufacturer's warranty to protect against defects in material and workmanship. Stoneman Sports is dedicated to innovation and simplicity and specializes in high-quality lifestyle and sports products. Their expansive product offering includes bike racks, kayak carriers, grilling accessories and much more. Stoneman Sports provides some of the most durable sports accessories at competitive prices and has great ideas for real-life applications.